Today I was asked to speak in Church and report on how my missionary, Elder Allred is doing to date. I was one of FIVE other missionary moms speaking. 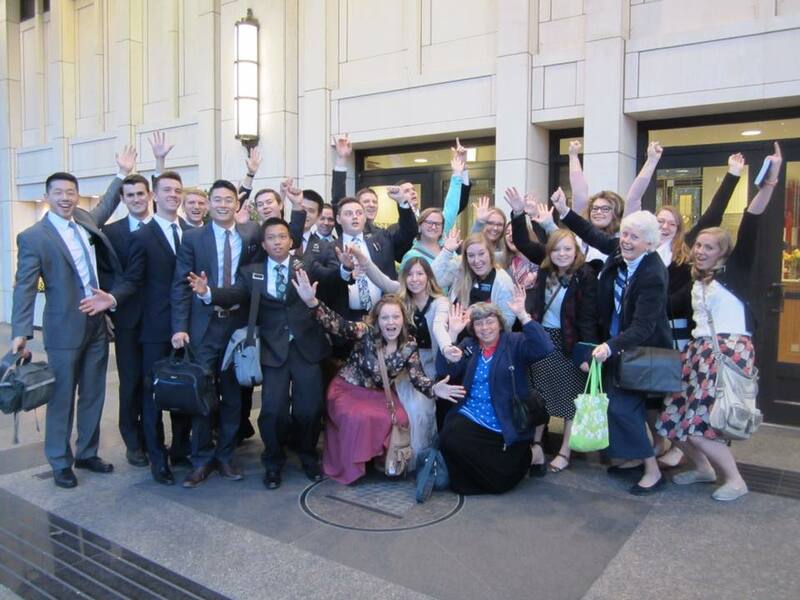 Others included the mom's of Sister Ritter, Elder Hardy, Elder Larsen and Sister Rogers. We were all asked to share a report on our missionary for 5-6 minutes (very hard task for a missionary mom fyi). Many friends and family asked me about my talk, saddened that they wouldn't be able to attend. Others from my ward expressed the same regret that they would be missing our meeting. So like any good blogger I thought I should put my blogging skills to work and share with EVERYONE!! So following is what I shared (give or take some parts due to the time limit placed on me as I stood to speak after the meeting time should have concluded). Enjoy....the best parts are from Elder Allred!! My son Elder Christian Allred is currently serving in the Morristown New Jersey Mission. He has been serving for the past 390 days, with approximate 342 to go (53% through to be exact). And for those of you that don't know, my daughter Emma has only 59 days left before leaving for her mission in Resistencia Argentina. How you feel that you have changed since becoming a full-time missionary? "I feel like a different person and a better disciple of the Lord. I believe the way I have changed is that I use the atonement for everything now, instead of not feeling this need to repent save it be a big sin or transgression. I repent of being lazy, I repent of being a bad roommate and I even repent for having a negative attitude. I use to think you were allowed to be angry, and I know that you have no reason, besides evil or wickedness, to be angry or upset at all. In fewer words, I have become a more active member of gods army instead of a neutral and potentially destructive party in this whole ordeal. I now feel bad when I don't do productive things. I feel greater responsibility to serve. I know how to be happy, always no matter what. I feel a greater respect and love for the works of our God. The things that I use to treasure, aren't that consequential. I feel a sense of belonging and identity unparalleled in my mortal life, ever. God knows me and I have his guidance indefinitely. That gives me the greatest sense of change." What have you learned that will forever be part of who you are going forward with the rest of your life after your mission? "I have learned that I am weak and only through the Gospel can I be compensated for that, I will have greater desire to lift others up instead of edging around them all the time. I know that the greatest strength I can possess is the charity that Moroni wrote of, the pure love of Christ that is always accompanied by humility. And as I more fully obtain that, I will be suited for any task or assignment that befalls me. And that I am never done, even after marriage and children, I will have ample opportunity to learn and grow at that time and all times." How do you feel about Emma going on a mission too? "I feel like the only example I have been, that matters thus far as a missionary, is helping prepare Emma. I truly feel that joy that always comes from the Spirit. I feel now the promise from God in D&C 18:15-16"
"Like Alma, maybe all the lessons I've taught have not borne fruit but the letters, the prayers and the advice I have sent to my sister, is the single coolest thing I have done on my mission. Because I know that her or myself alone would be good, but as servants of the Lord in tandem we have the ability to become strong and strengthen the children of God together. I know that without God, my encouragement to Emma would have been in vain. But the power of the spirit of God guided me and prepared me to reply and answer Emma's question and concerns that Emma shared with me. And I know that my sister is truly an elect woman and a valiant daughter of God. I will never ever have the words to truly articulate how grateful I am for such a “strength” as her in my life." Any message you would like me to share with the ward? "I know that God leads this church and the programs in the church are inspired. It doesn't matter who you have to work with, even if it's a child as rebellious and prideful as I was, or if it's imperfect leaders like they all should be, or stubborn old dogs, or seemingly insufferable leader. As long as you remember that God leads his church, you don't try to change others, you just try to change yourself to be of greater aid to them. Instead of complaining about what they do wrong, do all the things right that you can, and then ask if you can help. There are no bad guys and good guys, just prideful people and humble people. Try being more humble, true happiness has the prerequisite of humility. I love the packages and letters that your families and children have sent me. And I am VERY thankful for your support." "But I know that God is the gardener here and his knowledge and plans are greater than ours. I know that the world today seems different and unknown, but it truly is as the prophets have foretold. They are the ones who can see the dangers we don't and that strict adherence to their guidance is necessary for our happiness. I know that the Book of Mormon is God’s word; he has restored all of his truths through the records and revelations. I have knowledge of his love for every single person that has or will live, regardless of who they think they are or how wicked they are. His love is forever and it is unchanging. I love people who choose wickedness and I have felt hardly an iota of his sorrow for them. It's sad, but only temporary, he has prepared HIS way specifically tailored to guide all of us to greater joy and agency. I am not super good at always following it, but I know it works and I'm excited to watch it work my whole life long. Families CAN BE forever, we just gotta earn it. If we don't prepare now we won't BE prepared then and therefore will not be capable of maintaining an eternal life. God wants us to be there. And he shows us how to get there. I know this in Christ’s name. Amen," Elder Allred. These are some things that I observed about my missionary...I didn't have time to really share this part, but it was worth including. · Elder Allred often talks about LOVING the people in New Jersey. When he focuses on loving them the way the Savior would it seems his experiences are more edified. I believe loving the people includes those you have SERVED with, including mission companions. · Also, I often see from his letters that he is often checking his attitude and adjusting to be more humble and/or obedient. Grandma Stevens thinks he is too hard on himself, but I think it is awesome that he shares the good and the bad! · We cannot help but be affected by Christian’s service in our own lives...I can feel the difference in our home and how I personally strive to be BETTER because I have a missionary in the field. There are times I don't think I have time to do something... service others or read and study...but then I think of the time he gives (24/7) and I rethink that and go and do! · I have seen Christian’s encouraging influence with his little sister and her decision to serve a mission. His own example of missionary service has made a HUGE difference. And I hope that when he looks back at his time of service that he recognizes his example and influence in helping prepare his sister to serve the people of Argentina. I I am blessed to be a member of The Church of Jesus Christ of Latter-day Saints. I know that the Book of Mormon is the word of God. As I study this wonderful book in tandem with the Holy Bible my life is uplifted and my JOY is great! I find so much happiness from being obedient to the Laws of the Gospel. I am honored to be chosen to be a parent to TWO amazing young people that have chosen to give 2 years (Christian) and a year and a half (Emma) to their Heavenly Father in full-time service in both New Jersey and Argentina. They are truly amazing examples to me and teach me often how to be closer to my Heavenly Father. I am so very thankful for the blessings of Temple attendance....Eternal Families being the biggest one! Families CAN be together forever!! And I am thankful for a young man, Joseph Smith who searched, pondered and prayed about his questions and had the faith to ask. I know President Thomas S. Monson is a prophet of God and his words are direct revelation from our Heavenly Father for us TODAY! I leave my testimony with you, here on my blog for all the world to read. I pray that those with different views will respect me for my own personal beliefs. If you would like to learn more about the LDS church, please visit HERE. I know some amazing young men and women missionaries that would love to share MORE WITH YOU!